Police say the suspect was seen chasing and threatening people inside of a Wendy's restaurant in Gaithersburg. Gaithersburg, Md. 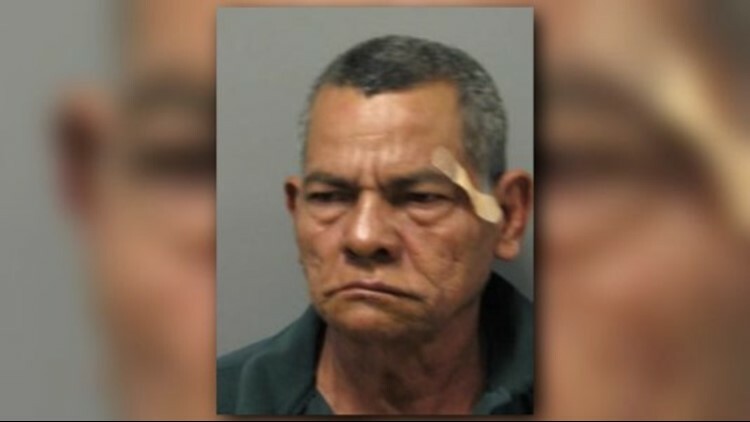 -- A man was arrested after police say he pulled a knife out on customers inside of a Wendy's restaurant in Gaithersburg. Montgomery County police said they responded to the Wendy's located at 18350 Contour Road for the report of a man armed with a knife and threatening customers. 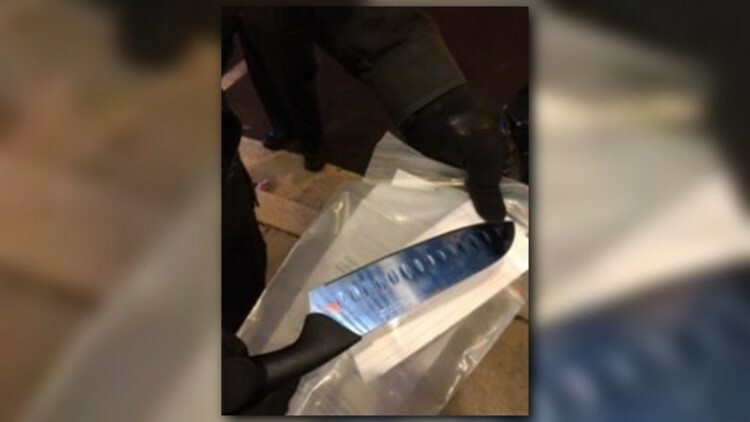 When officers arrived on scene they observed the suspect, 61-year-old Adonias Gomez, outside of the Wendy's drive-thru area holding a large knife with blood on it in his hand. The knife Gomez used to threaten customers. Police said when Gomez refused to comply with orders, officers deployed a taser and Gomez was taken into custody. Officers interviewed employees and patrons inside the restaurant who said they saw Gomez chasing and threatening a customer, who is described as a high-school aged African American male. Officers have not been able to identify this witness. Adonias Gomez has been charged with two counts of first-degree assault, disorderly conduct, and endangering the public safety while being intoxicated. Gomez is being held on a $10,000 bond. Officers are asking for that witness and anyone else who may have been threatened by Gomez or who may have witnessed this event to contact 6th District officers at 240-773-5770.